Localisation of an app is needed for addressing to audiences located all over the world. The entire world is big. Care has to be taken to see whether the app developed is meeting the criteria of the entire world audience or not. The user who decides to download the app must be located at the other end of the globe at a completely different time zone. It is hence important to take measures so that the app is available for procurement 24 by 7. The technique of making the app reach the entire globe is also known as internationalization. There is a subtle difference in between localisation and internationalization. To internationalize an app means to create a strong base that aids in its localisation. One must create texts and graphics user friendly and visible to the eye. An executable code can be used so that it can translate itself as per users spoken language. Not everyone is there who knows English. So, for them the app will have no use at app. It is hence important to integrate a system that makes the app valuable to everyone who uses irrespective of their language. The content of the app must be implemented back to the app in the form of small localized files. These must be stored as inside the packaging of the app itself. The API key which is provided inside the app is good enough to manage the dynamic user values generated in different areas. These differences can be in terms of length, dates, price, weights, currency or symbols. The app must allow text in any language the user wants. Only if one dreams to be bigger than their local market one goes for app localisation. Researches and studies show that Downloads increase whenever language translations are added in any app. In the year 2012 a study showed that in an iPhone app translation was integrated. For the same country the downloads increased within a week at 128% on an average with the total revenue increased by 26%. 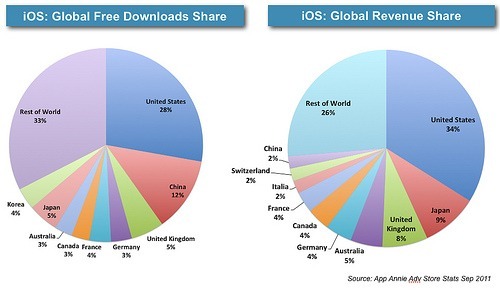 Stats show more than 50% countries which falls under the top 10 downloaded apps country are not English speakers. They are mostly from Eastern Asia or Europe. In these cases an app localisation is mandatory. Under the Top 25 grossing iPhone apps in Chin, 92% of them uses Chinese naming conventions like in countries like Japan, Eastern Asia,Korea and Taiwan. If we speak about Android apps then under the Top 25 grossing apps in Android has 80% of it coming from Korea, Taiwan and Easter Asia. Localized marketing campaigns held for various apps proved to be outperforming the only English app campaigns by almost 86%. Another set of research showed the average CTR was 2.35% for English marketing app campaigns and its conversion rate ranged at 7.47% approximately. While localized apps showed a CTR of 3.34% and a conversion rate of 9.08%. App publishers of the globe will all have one common viewpoint of localizing apps for the betterment of it. 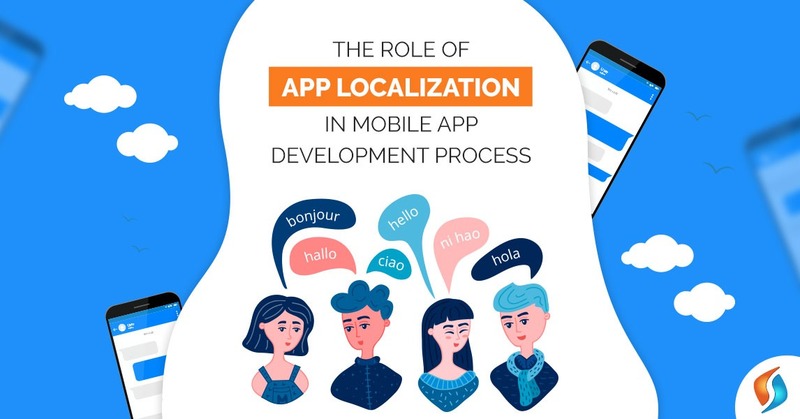 If you need more information on app localization & need assistance on it for mobile app development, please feel free to Contact us. We work round the clock to help our clients to provide custom solutions. On an other note, if you are startup or small business and playing with an app idea but not sure your business needs an app, checkout this article: 3 Reasons Small Businesses Make An App – and How They Win?